If you like sheep, lights, fireworks, and the mona lisa then this video is for you. That is the craziest thing I think I've ever seen. Thank you both! I would love to hear what you think of my posts! Leave a comment below. Welcome to Kibbles 'N Knits. My name is Nancy. I'm a teacher, a crafter, a small business owner, and a mom. You'll find all my adventures in DIY right here on this blog. I read and appreciate every comment made on my blog. If you ask me a question in your comment, check back to the post. I respond to all questions. Are you looking for something a little silly? I've been writing my own knitting versions of internet memes. 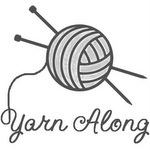 Check it out at LOL Knitters. Copyright Nancy McGinley Myers. Simple theme. Powered by Blogger.